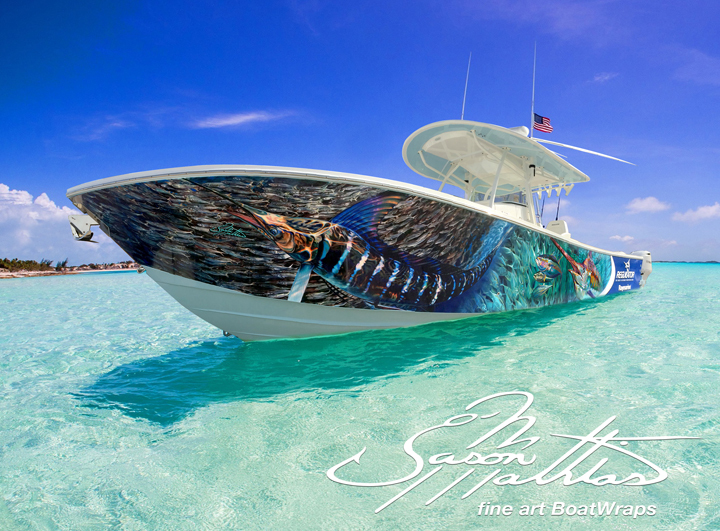 Show off on the water with the best fishing boat wrap graphics in the business! Browse Jason Mathias's portfolio of stock designs available for purchase, or have Jason personally design a unique and custom wrap just for you. Details on ordering are in the product description. All stock designs are $450.00 per usage. All custom designs are $650 and up. Printed wraps are priced by the square foot.